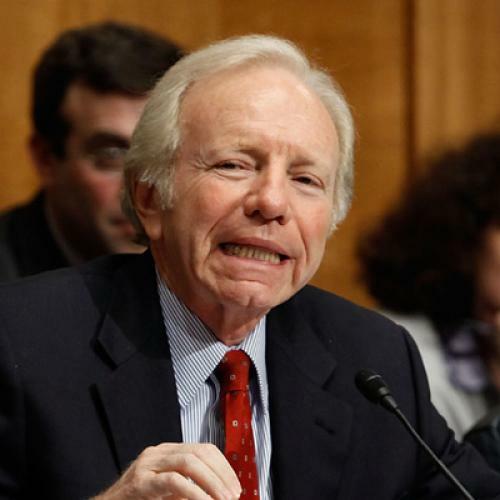 I've been thinking for a couple weeks that Joe Lieberman is the Democrats' biggest potential problem. The rest of the party has a strong incentive to pass health care reform and avoid a 2010 catastrophe. But Lieberman? He's not a Democrat and won't be running on the Democratic ticket in 2012. Moreover, my read on him is that he's furious with the party, resentful of President Obama (who beat his friend in 2008) and would relish a Democratic catastrophe. "We're trying to do too much at once," Lieberman said. “To put this government-created insurance company on top of everything else is just asking for trouble for the taxpayers, for the premium payers and for the national debt. I don’t think we need it now." Lieberman added that he’d vote against a public option plan “even with an opt-out because it still creates a whole new government entitlement program for which taxpayers will be on the line." It literally makes no sense whatsoever. A public plan does not provide a new entitlement. It just doesn't. It's a different form of providing an entitlement. Nor is it more expensive. In fact, the stronger versions of the public plan would cost less money. Lieberman is just babbling nonsense here. Another reason for his position, of course, is that Connecticut is home to some huge insurance companies, who don't want any new competition. But the other Connecticut Senator isn't threatening a filibuster. I think Lieberman is the one to watch. My guess is that ultimately he'll vote for reform, but he'll do so because the Democrats will scale back their plan and win over Olympia Snowe, making Lieberman's opposition academic. Lieberman won't join a futile filibuster, but if he has the chance to stick in the knife and kill health care reform, I think he'd probably jump at the chance.